Many organisations use ArcGIS Online to share their most authoritative content with their communities. Subsequently, ArcGIS Online now includes millions of items from thousands of organisations worldwide and is continuing to grow. That’s great! However, have you ever found yourself a little lost while searching through all that content to find what you are looking for? How do you know which dataset is the most reliable one to use? Is the content up to date and maintained? Is it from a trusted provider? So how will other users know to use your organisation’s public content? Well, Esri have introduced the ability to mark your content as Authoritative. You may have seen this feature before, but were you aware that marking something as authoritative only showed to users within your organisation? This is where Verification comes in. Verified organisations are those who have requested that Esri verify their identity. Once you have had your organisation verified, you will be able to designate any of your public facing content as Authoritative to let others know that it is the official data from the organisation that owns it. When a verified organisation marks a public item as Authoritative, the item is identified with an authoritative badge and the name of the organisation. Users can then filter by a content status of Authoritative to find only the content that they know will be trusted and reliable. No more worrying about whether the data is up to date and accurate! Marking your data as Authoritative also increases its exposure as it gets a boost in search functions. Having your organisation verified lets people know that you are who you say you are - that you and your content can be trusted as a reliable source of data. Authoritative items will show your organisation’s name as the owner, as opposed to by the ArcGIS Online user that owns the item. When you click on the owner, you are taken to the organisation’s home page. From here, people will be able to see all your organisation’s other public content. 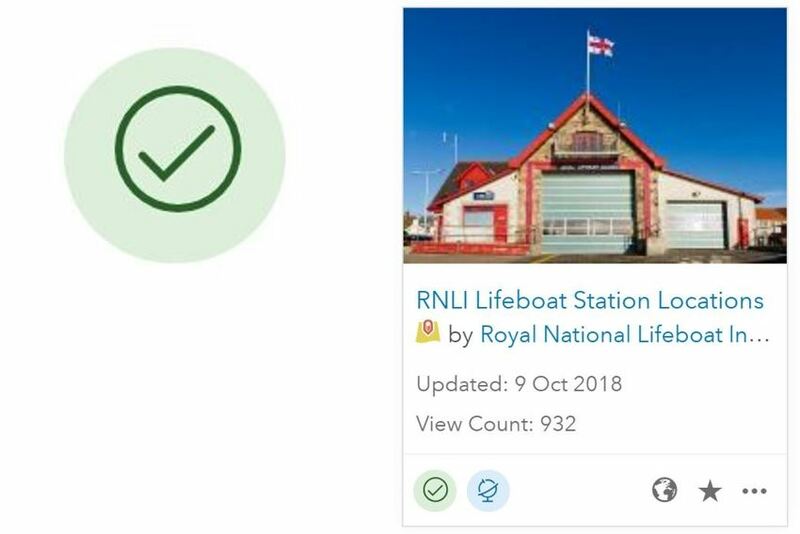 Let’s have a look at the Royal National Lifeboat Institution! From their homepage we can see all their other content by clicking on their gallery. See which of their datasets they are especially recommending with the authoritative tick. The content exposure double whammy! The Living Atlas is the repository for all Esri curated content. Living Atlas data goes through a curation process to ensure that it is up to date, complete, valid and relevant. Once accepted in to the Living Atlas your data will be exposed to a global audience. Combine this with getting your organisation verified and content marked as authoritative, and just wait and see where your data could end up! Ministry of Housing, Communities and Local Government have become verified and have now listed over 20 of their Living Atlas datasets as authoritative. 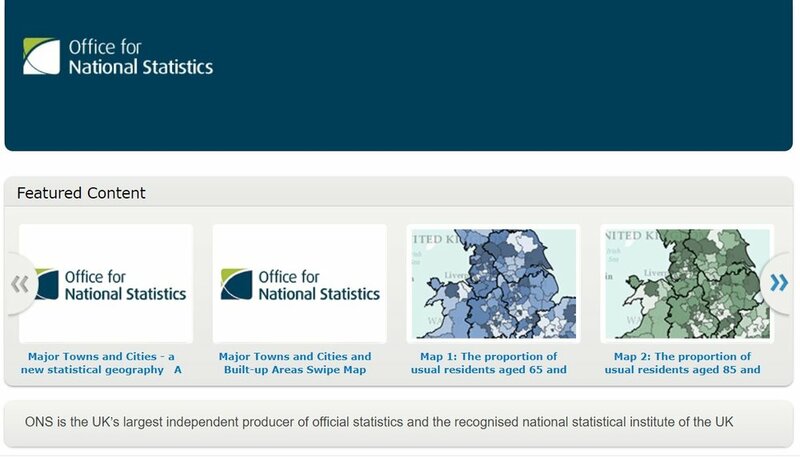 The Office for National Statistics are featuring their key content directly on their home page ready for users to explore. If you are the administrator for your organisation (or have privileges to update all content in your org), mark the appropriate items as Authoritative in the item settings or ask your admin to do that for you. Check out this article on Improving Content Quality for some suggestions on authoritative content workflows. Once you have some authoritative content ready to share, ask your admin to ensure that (a) the organisation allows anonymous access (b) the organisation has a great home page for anonymous visitors and (c) the organisation name configured in the settings is correct. Don’t forget Customiser, our app for customising ArcGIS Online hompages. Once that is all confirmed, the admin can then request that the organisation identity be verified by Esri. Go to Settings > General > Organisation Verification. Once Esri has verified your organisation’s identity, any of your content that is shared with everyone and marked as authoritative will appear as authoritative and from your organisation. That is, the item will have an Authoritative badge and it will display your organisation’s name as the owner of the item.